ducator Chris Mercogliano has been working with hyperactive (ADHD) children for many years at the Free School in Albany, New York, and has developed numerous ways to help these students relax, focus, modulate emotional expression, make responsible choices, and forge lasting friendships-all prerequisites for learning. 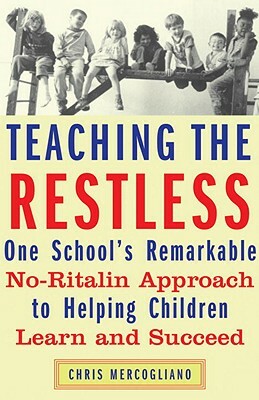 In Teaching the Restless, Mercogliano uses the stories of six boys and three girls to share valuable lessons, offering a way to work with these children without assigning them labels or resorting to the use of stimulant drugs like Ritalin. Chris Mercogliano has been a teacher at the Albany Free School since 1973 and codirector since 1985. His writing has appeared in numerous publications, and he is the author of Making It Up As We Go Along. Mercogliano lives in Albany, New York.